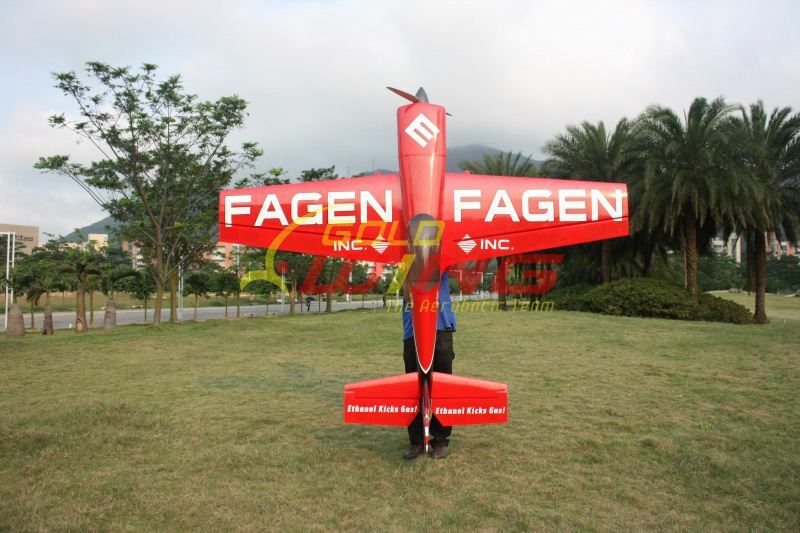 Wing span (spanwijdte) 2690 mm 107"
Pictures below are from a MXS with a different color scheme. 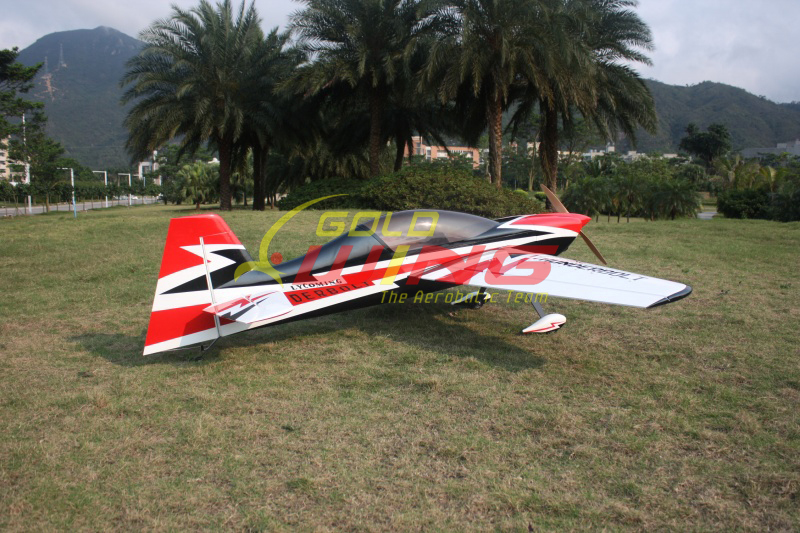 Goldwing R/C model airplanes not only look fabulous, they have amazing flying qualities too! 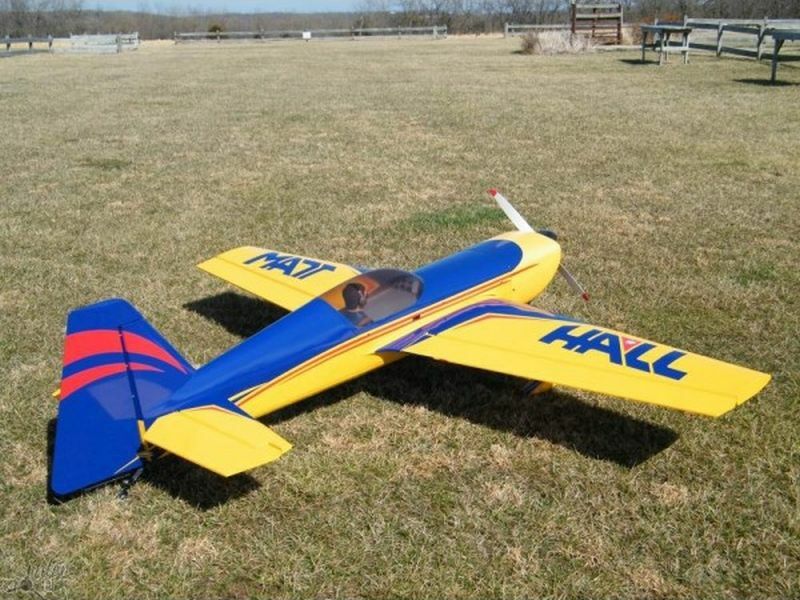 Being one of the largest model airplane manufacturers in the world, Goldwing R/C is able to provide quality model aircraft with a high level of engineering and build quality at fantastic prices! 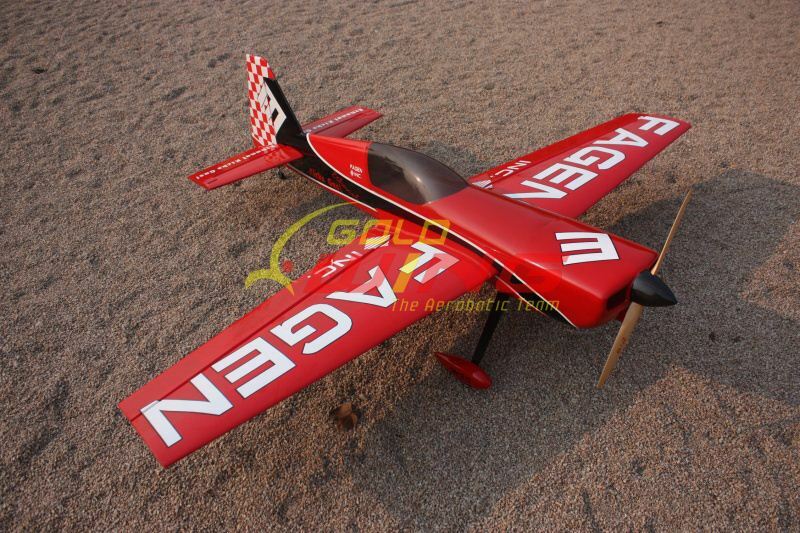 Goldwing R/C ARF model airplanes feature the latest CAD engineered and CNC laser cut airframes for superior parts fit, structural integrity, strength and low weight. 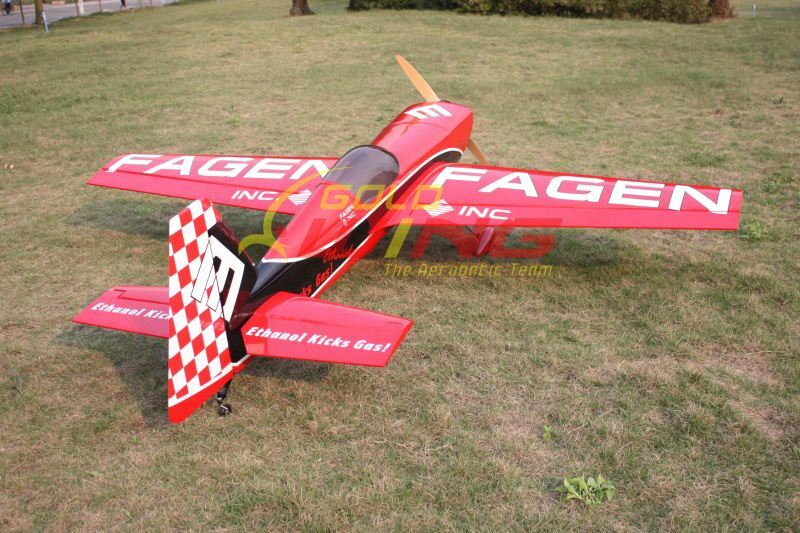 A lighter airplane simply flies better due to lower wing loading. 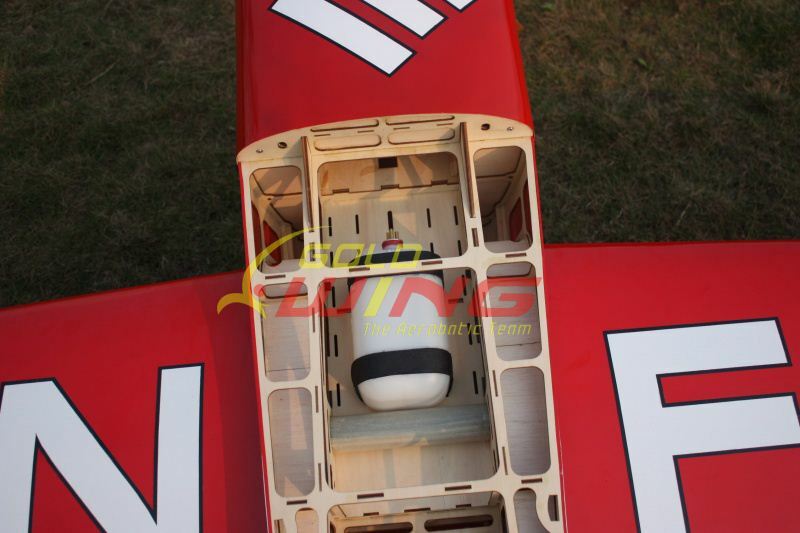 High performance aerobatic aircraft certainly benefit from improved thrust to weight ratios and IMAC pilots who want impressive vertical performance where speed can be maintained through multiple snaps and rolls demand a lighter airplane. 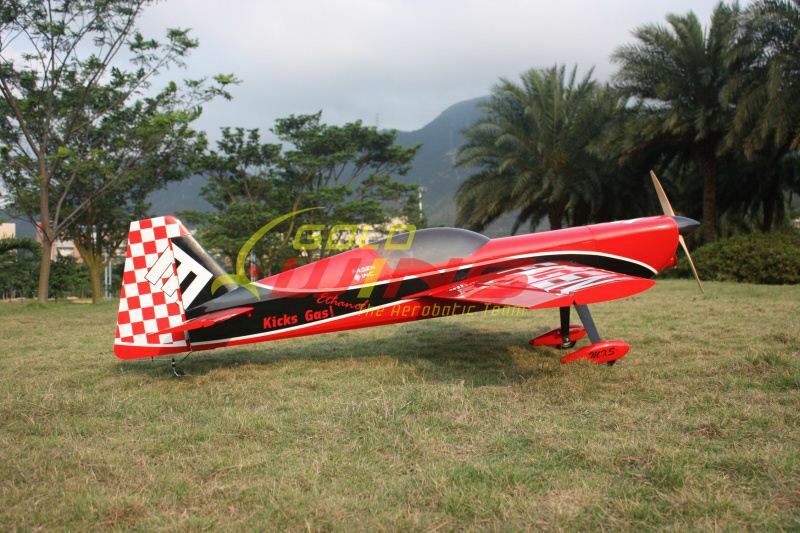 Free Style pilots looking for an extremely responsive aircraft with a high degree of pull out authority for radical 3D maneuvers will appreciate a lightweight and rigid airframe. A well engineered, light weight airplane can do all of these things well. 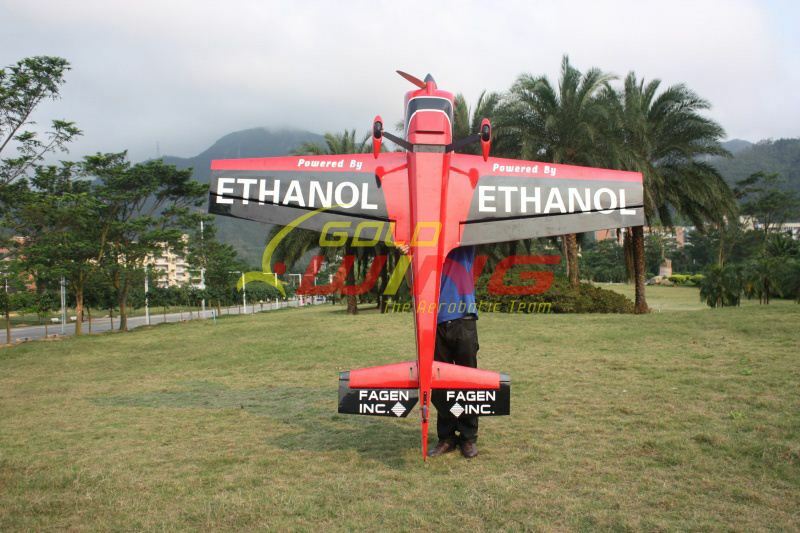 A Goldwing R/C model ARF can do these things extremely well! 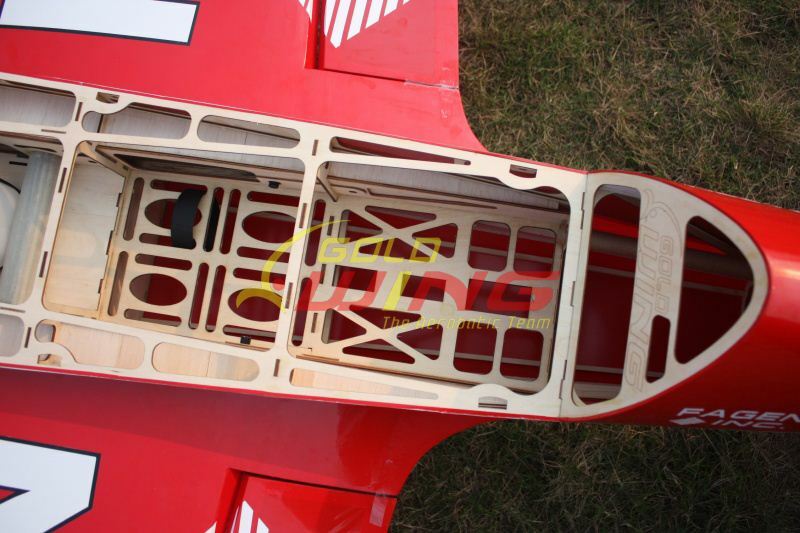 Some unique engineering features include a multi-position firewall with an interlocking design, clean blind cowl mounting and multiple diameter canister mounting formers. 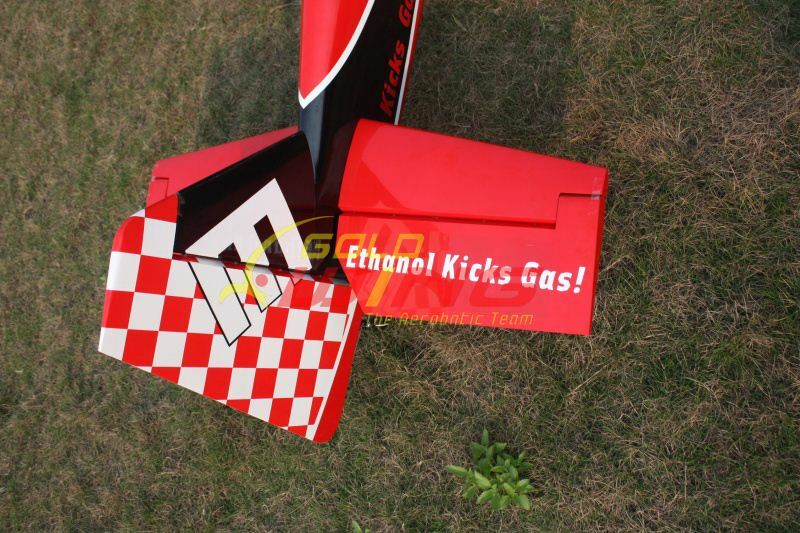 The pre-hinged control surfaces, removable rudder, pre-installed rudder pull/pull cables, pre-plumbed fuel tank, integrated and installed servo wire tubes, heavy duty fiberglass double truss control horns, anodized aluminum servo arms, carbon fiber wing and stab tubes, carbon fiber landing gear on all Version 3 models, carbon fiber tail wheel unit, carbon fiber spinner, servo connector safety clips and the use of genuine Oracover covering film make the Goldwing R/C aircraft one of the finest ARF model aircraft available today!